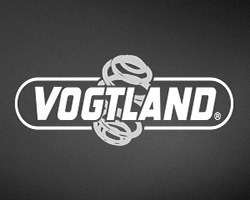 VOGTLAND performance lowering springs, manufactured in Germany, provide multifaceted improvements for your vehicles suspension. The comprehensive design generates a better overall appearance while making a significant improvement in performance. The compound spring rate allows for comfortable ride quality under normal driving conditions while providing maximum performance when being pushed to the limit. As the distance of spring travel reduces, the performance demands of a spring drastically increase. 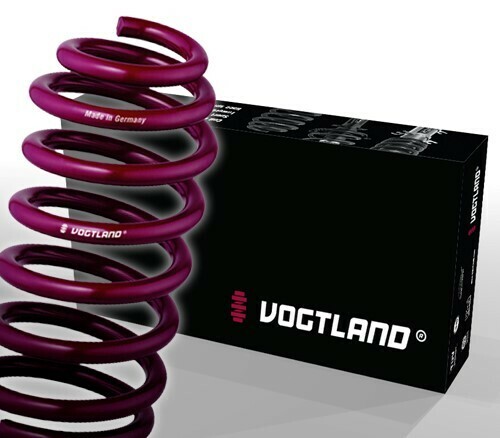 Derived from racing, the VOGTLAND compound spring consists of two different spring rates. The initial rate provides the proper pre-load necessary for proper suspension function during all road conditions, and the final rate is designed to provide the appropriate vehicle balance for neutral steering characteristics. Each spring is calibrated for every specific car model, and provides a balance between performance and comfort. With lowering amounts available from 25 – 60 mm. Lowering the car more at the front than in the back provides an aggressive appearance and race car look. Spring sets with only two springs for the front axle. Looks good and reasonably priced!